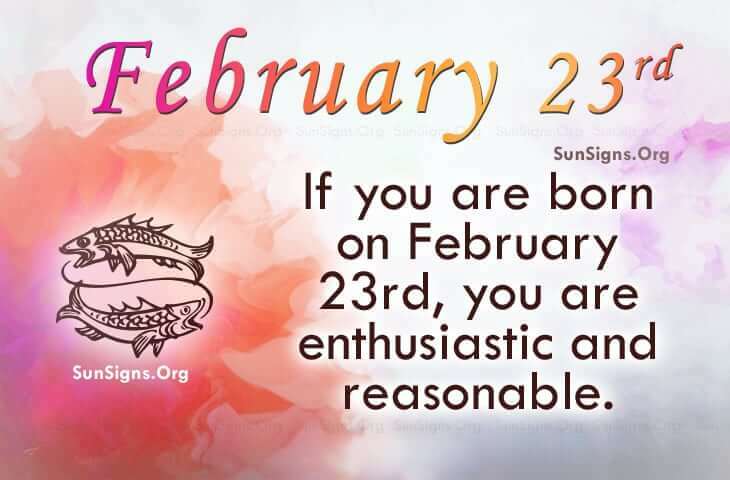 Famous people born on FEBRUARY 23 are truly a Pisces who are enthusiastic and reasonable. But they are unusually impatient. Things that happen as a routine seem to drag them down. However, having a friend who is on their level to talk to makes their day. If you share the February 23 famous birthdays, you have the talent of being able to accomplish more than one task at a time. A career in a field that serves others or deals with money management could be most suitable. Famous people born on February 23rd like to have fun but they do so on a budget. People born on this day, look forward to a life which will be financially comfortable at an old age. A famous Pisces born on February 23 and who is in love will generally look for a partner who is understanding and complimentary to his or her lifestyle and environment. They love being in the comfort of their own home. They love cooking and inviting people over which can be fun and relaxing. Famous people born on FEBRUARY 23rd are quick multi-taskers who love to exchange ideas. These famous Pisces born like variety and have an optimistic outlook. However, they can suffer from mood swings and should learn to relax. They are likely to enjoy nutritious foods and have a balanced checkbook.